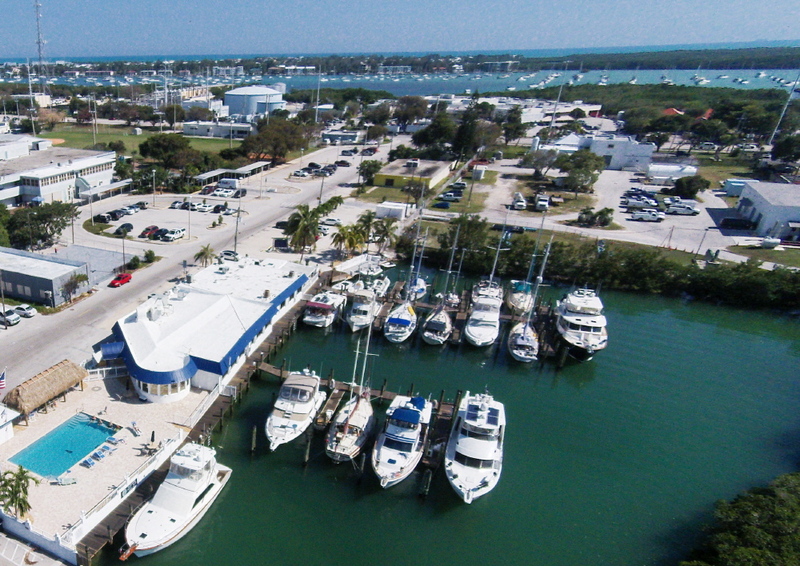 The Club has a 22 slip marina located in a basin just west of the clubhouse The basin was created in the early 20th century when the Florida East Coast Railroad needed fill material for the Key West Extension. Consequently, the water is deep to the shore. We welcome visitors from FCYC and ARYC. 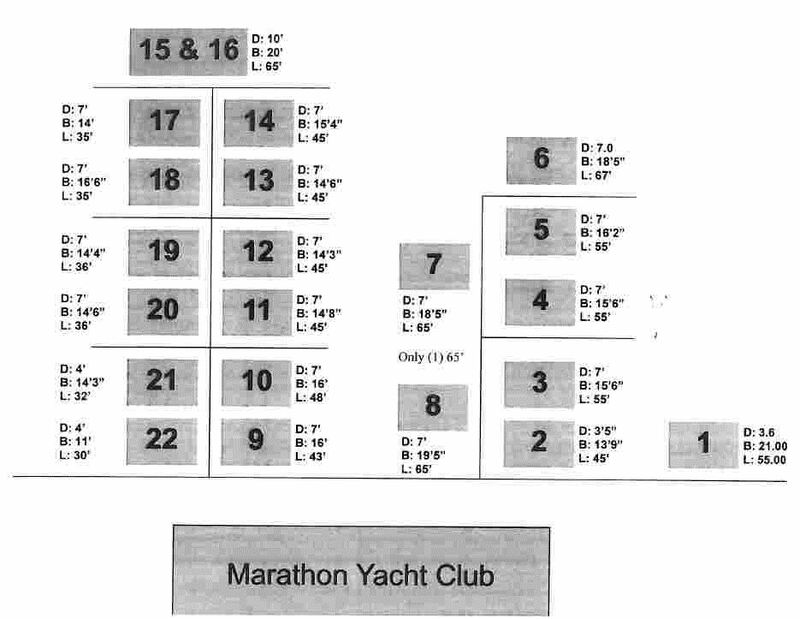 We can accommodate boats up to 67 feet in length. The marina was completely rebuilt in 2011 with fixed wooden docks. Each slip has 30 and 50 amp power and cable TV. There is pump out at each slip and a new pump was installed in 2016. There is free WiFi throughout the club grounds. There is a covered patio with tables, chairs and a gas grill available to marina residents and visitors. There are two private shower rooms each with a lavatory, toilet and shower. There are laundry facilities (new machines installed in 2017) and an exchange library. Of course, all other club facilities such as the bar, restaurant and pool are available to our visitors. The Club is located at mile marker 49 on the Overseas Highway in the heart of Marathon. Within a mile are numerous bars and restaurants, marine, grocery, liquor, and drug stores. We are across the street from the hospital and public library. There are boat yards and mechanics in Marathon that can make any repair required. Two local taxi companies will take any number of people anywhere on Vaca Key for $5. Be sure to ask in the office or bar for the correct companies. From a position 1/4 nm west of G17 on the ICW steer a course of 153o true for a distance of 1.35nm. This will bring you to the outer (and only) markers for our channel. Proceed down the channel passing the public launching ramp on your left. You will be headed directly for slips 3 and 4 (see diagram below). Click here to see a view of the approach from Florida Bay. Click here to see a chart of the approach from the ICW.